There are a number of anti-wind power Net sites in Australia and elsewhere. Stop These Things is typical of these in trying to discredit wind power by making false or misleading claims with little concern for the facts. Many in the anti-wind power lobby are motivated by selfishness; they don’t want wind turbines near them (NIMBY). Others, apparently including the writer of Stop These Things, are very ill-informed. Some simply don’t like, or even hate, wind turbines. All, it seems, don’t much care about what climate change and ocean acidification will do to the planet if we fail to adopt renewable energy or about the people killed or made ill by air pollution from coal-fired power stations. There are problems with wind power, I have written about them on a dedicated page. Most of my statements refuting claims made by Stop These Things on this page refer to fuller explanations, and supporting evidence, elsewhere. The first time I took interest in Stop These Things was when I came across a page titled “Grubby Little Secrets”. The page starts by claiming that wind turbines are inefficient They are not, of course; as I have explained elsewhereon this site. The same page claimed that wind turbines have a “traumatic impact on local communities”. Again, this is not true, as I have explained elsewhere; where there is trauma it has mainly been brought about by the fear and misunderstanding coming from the lies and distortions such as those published in Stop These Things. The Grubby Little Secrets page went on to talk about environmental damage in China due to the mining of rare earth minerals. I believe it is true that there has been very serious environmental damage due to rare earth mining in China, but wind turbines are by no means the only use for rare earth minerals; they have become very widely used in the modern world. Of course Stop These Things does not mention the number of lives saved and serious illnesses avoided due to the coal-fired power station pollution avoided when wind power replaces coal burning. Another lie on the Grubby Little Secrets page was the allegation that wind farms in Texas are contributing to global warming. The justification for this was a study of satellite data showing slightly higher surface temperatures following wind farm construction in Texas. It does seem that the surface temperature rose slightly near the wind farms. This is not surprising because the wind farms would reduce the wind speed at the surface during the day and that would allow the sun to heat the land slightly more. Also, at night, the turbulence produced by the wind turbines could disturb the layer of cool air that would otherwise form at very low levels at night. What is most important, and what was ignored by Stop These Things, is that there would be no net increase in warming. Yes, the local soil surface was getting a little warmer, but the wind would also be taking less heat away from the area; one would counteract the other. There is more on this study elsewhere. The selective use of evidence and faulty logic discussed above is typical of anti-wind power propagandists. They start with the mind-set that “wind power is bad” and look for any, no matter how shaky, ‘evidence’ that they feel supports their premise. This may be how they perceive the situation, but it is not the fact. Some parts of big industry are involved in building wind farms – there is money in it; some of big industry are also trying to minimise the adoption of renewable energy – there is more money in fossil fuels. The Green movement wants to reduce greenhouse gas production and slow climate change and ocean acidification. 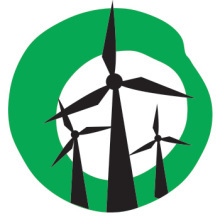 Neither big business nor the Green movement generally share the irrational fear or hatred of wind power that we see in the writers of Stop These Things. It is questionable whether anyone has been forced from their homes; wind turbines don’t make that much noise. Wind turbines do not make people sick. The wind farm industry is not funded by the tax payers; it is funded by the sale of electricity and the sale of renewable energy certificates to the electricity retailers. By efficacy Stop These Things (STT) is probably referring to greenhouse gas abatement; wind turbines certainly do replace fossil-fuel generated electricity and that certainly results in less greenhouse gas production. I have discussed the efficiency of wind energy above and in more depthelsewhere on this site; there is no valid reason for claiming that they are inefficient. A comment further down the page shows that at least some of their number are climate change deniers. The anti-wind power movement have not shown any justifiable reason for opposing wind power development other than personal dislike; I leave it to the reader to decide wether this constitutes NIMBYism. STT and like-minded people should be ashamed of themselves for slowing the replacement of killer coal-fired power stations with clean, environmentally friendly, renewable energy. If STT accept the reality of anthropogenic climate change (ACC, man-made climate change) then, again, they should be ashamed of themselves for standing in the way of reducing greenhouse gas emissions. There are few genuine victims; as discussed elsewhere. Ridicule: ‘Subject to mockery and derision’. Ridiculous: ‘Deserving or inspiring ridicule’. Ridiculous opinions, if held privately are fine. When publicly thrust onto other people as the truth, they deserve ridicule. Vilify: ‘Speak or write about in an abusively disparaging manner’. I have seen little that could be called abusive in what has been written in response to the anti-wind power lobby; I have seen abuse from the anti-wind lobby, and have received it myself. This is often repeated by opponents of renewable wind power, they rarely give convincing examples of the claimed dishonesty. This page shows that they should look to their own honesty. If any reader can point out something that I have written dishonestly, and can show good evidence for that claim, I’ll be pleased to know about it; my email address is at the top of this page. Simon Chapman has not been vilifying people who claim illnesses from wind turbines; rather he has been pointing out that wind turbines are not the cause of any illnesses. This false claim would legally constitute libel. Recently Stop these things put up a post about Friends of the Earth, demanding we answer 17 questions. They wheeled out the tired old suggestion that we are funded by the wind industry (yawn). I answered those questions – no, we are not – and (surprise, surprise) they didn’t publish my comment. This ‘group’ hides who they are. This speaks volumes about them: if they are in fact a group of concerned citizens they would have no problems saying who they are. Here at FoE we only ever post under our own names because we are happy to own our statements. – they are so deeply into the anti wind conspiracy that they believe the Wind Cartels (always in Capitals, please) will drag them off to a gulag if they can identify who they are. Not sure which of these is the most tragic. I live in Castlemaine and am happy to be known in my community, and stand by my support for wind energy, and especially community owned renewable energy. Whats wrong with Stop these things that they fear to be known for who they are? Thanks for the comment Max. Thanks for joining us at the important Rally 4 Renewables! My, how things change in a space of two years. Who are the liars now?